The Supreme Court recently heard a case about a proposed specialty Texas license plate featuring a Confederate flag. In the long-running debate over the symbol, supporters are quick to deny that it represents a racist ideology. But an experiment published in the journalPolitical Psychology in 2011 points to just how powerful the flag continues to be in stirring up racist attitudes among whites. A team of researchers studied 108 white students and 22 black students at a southern state school. They presented half the participants with a subliminal image of the Confederate flag, while a control group got a neutral symbol made up of colored lines. Then, they asked the students how likely they were to vote for four candidates in the 2008 election—Barack Obama, John McCain, Hillary Clinton, and Mike Huckabee. The white students who were primed with the flag symbol were significantly less likely to say they’d vote for Obama than the control group. For the black students, on the other hand, the subliminal suggestion had no effect. Interestingly, being exposed to the Confederate flag did not lead students to identify themselves as more conservative. The subliminal suggestion actually increased the likelihood that students would support Clinton, suggesting that it pushed those who were inclined to support a Democrat to choose her over Obama. Given the Confederate flag’s connection with southern pride, it might seem likely the symbol would have a more powerful effect on whites who see themselves as southerners. In the experiment, though, students who identified strongly with the south were no more likely than others to shift their political loyalties based on the image of the flag. 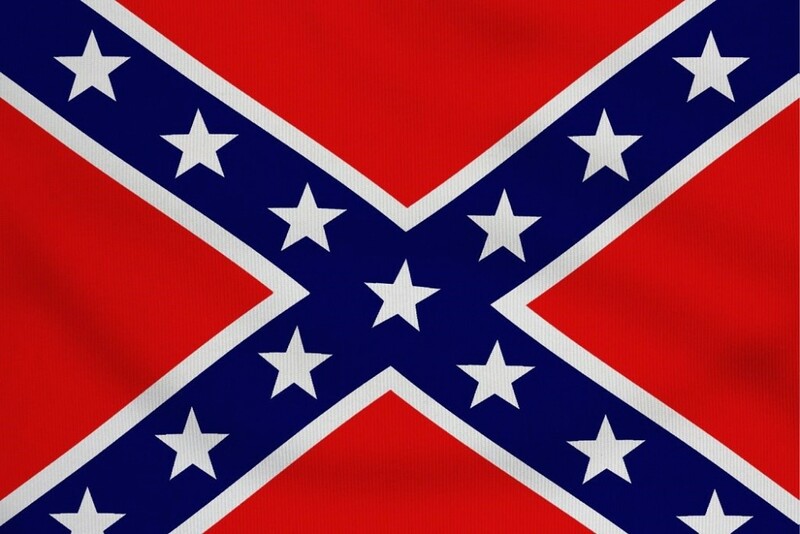 In a second experiment, subjects were shown the Confederate flag in a different way, on a sticker stuck to a folder that had supposedly been left by accident on the desk where they were working. Again, white students exposed to the flag were more likely to display an anti-black attitude, evaluating a fictional black man in a vignette more harshly than the control group did. Participants in the second experiment also completed a questionnaire on their attitudes toward black people. The results showed that the students’ level of prejudice did not predict how strongly seeing the Confederate flag would affect their judgment of the fictional black character. The researchers argue that this suggests the Confederate flag did not simply exacerbate racism among the most prejudiced white students, but instead that it increased “the accessibility of culturally associated prejudice” among white subjects whether their own base level of bias was high or low.